1 What are the advantages of taking CBD Oil sublingually? 2 How do I take CBD oil sublingually? 3 What kind of carrier oil is best for taking CBD oil sublingually? 4 How much CBD Oil should I use? 6 Can I overdose on CBD oil if I take it sublingually? For recreational users, smoking and vaping are the preferred methods of consuming cannabis or CBD products. These methods allow cannabinoids to rush directly to the lungs. Smoking and vaping are very efficient methods and can increase bioavailability to 50% or above. Bioavailability determines the percentage of drugs or substances that becomes available to the target tissue after administration. This means that up to 50% of the cannabis content that you inhale when you smoke or vape is available for your body. In contrast, CBD edibles fall between 4-20% bioavailability rate. However, smoking, and vaping are not everybody’s cup of tea. Some just don’t like the idea of smoking or vaping in general. There are also those who find it inconvenient since it limits their use to their homes. Although vaping, and smoking equipment are portable, some areas prohibit smoking and vaping in public places; both indoors and outdoors. In addition, there are also those with existing lung conditions who cannot smoke or vape. Sublingually taking CBD oil is a convenient alternative to smoking or vaping. The word sublingual means under the tongue. In this method, the user applies a few drops of CBD oil or cannabis tincture under the tongue. This method is different from directly swallowing the tincture or oil. What are the advantages of taking CBD Oil sublingually? Better Bioavailability. Most users who take CBD oil sublingually experience the health benefits of CBD oil within 20 minutes?. This makes it the perfect method for those who use CBD products for pain relief of chronic pain. Those who suffer from neuropathic pain caused by arthritis will also benefit from the fast relief brought about by sublingually taking CBD oil. Arthritis-related pain can flare up any moment and although you can relieve it by using other CBD products, CBD oil through sublingual delivery is still the best method to deliver immediate relief. Why is the effect so fast? This might be due to the fact that you’re not digesting the oil. Sublingual products don’t go through the digestive tract. When you swallow a CBD edible or capsules, it goes through your digestive system and it needs to undergo digestion before you can feel its effect. In contrast, CBD oil or cannabis tincture taken sublingually gets absorbed directly into the bloodstream. The increased bioavailability can also be attributed to the fact that sublingual consumption of CBD Oil bypasses the first-pass effect in the liver which happens when you digest edibles. How do I take CBD oil sublingually? Taking CBD Oil sublingually is a pretty straightforward process. You just need to use the dropper that usually comes with the CBD Oil to take a few drops of CBD. Put a few drops of your preferred CBD Oil under your tongue. You need to hold the oil under your tongue for at least a minute or two. This will ensure that the oil gets absorbed through your sublingual tissues so it can enter your bloodstream. You can then swallow any excess oil left behind. Some users who take CBD Oil sublingually take an extra step before swallowing the oil. You can also swish the remaining oil around your mouth. This will distribute the oil to your cheek tissues or even into your gums. This method of taking CBD Oil through the cheek tissues is called Buccal. If you’ve tried oil-pulling before then this is something similar. Although this is not a requirement, it increases the contact between the oil and the capillaries in your mouth. This means you also increase the chances of getting as much CBD oil to your bloodstream as possible. If there is still oil left after swishing the oil around your mouth, then you can just swallow the rest. What kind of carrier oil is best for taking CBD oil sublingually? Pure CBD oil by itself is easily absorbed by the human body. However, its absorbency by the body gets improved when you use it with a carrier oil. Hemp oil products like THC and CBD from the cannabis plant are fat-soluble. This means that they increase their bioavailability when you infuse them in saturated fat. Hemp Seed Oil. Despite its name, Hemp Seed Oil doesn’t contain cannabinoids. Hemp seed oil is a product derived by cold-pressing hemp seeds and not the hemp plant. What’s great about hemp seed oil is it contains a unique 3:1 essential fatty acids ratio. Hemp seed oil is also tastier. It has a slightly nutty flavor which makes it more tolerable if you intend to take CBD oil sublingually. Olive Oil. Olive oil is a very popular cooking ingredient. People drizzle it over salads, use in making pasta, or as a dip for pieces of bread. It has a vegetable flavor and is ideal for those who like the taste of Olive Oil. Olive Oil also contains LCTs or long-chain triglycerides. LCT translates into higher bioavailability compared to medium-chain triglycerides (MCTs) which makes it more efficient as a carrier oil. Coconut Oil. This MCT oil has long been acknowledged for its health benefits. This is the perfect carrier oil for those who have heart conditions because coconut oil has high lipid content. The saturated fat content of coconut oil won’t clog up your arteries. This is a question that many have asked. Unfortunately, there is no definite answer. 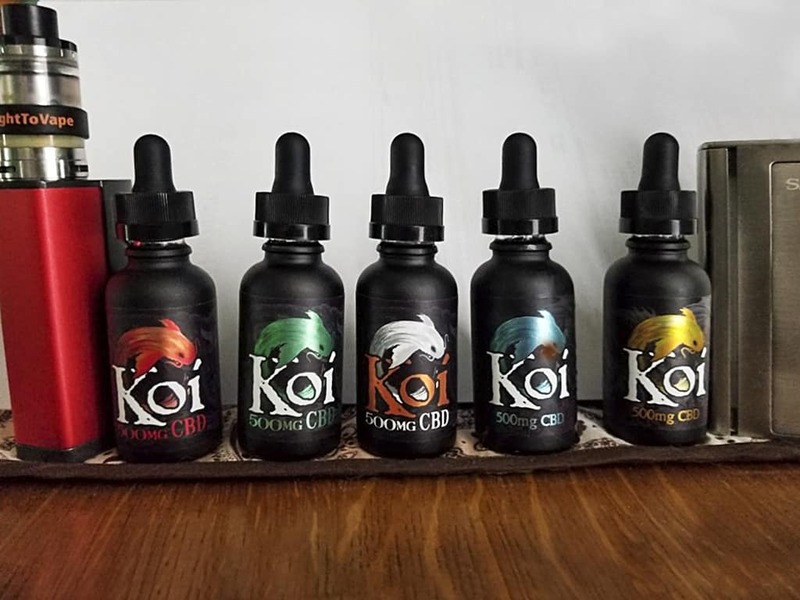 The Food and Drug Administration (FDA) is the government arm responsible for providing a Recommended Daily Intake (RDI) but they haven’t released an official RDI for daily CBD servings. If you don’t know what RDI is, it is the daily levels of a nutrient that meets the requirements of 97-98 percent of individuals in the United States. You usually find RDI information on any supplement you purchase. So, how do you formulate a dosage for CBD oil? Treat CBD as you would any new supplement that you might take. Start with small doses. This way, you completely avoid going over the level that might be too much for you. Remember that it can take up to an hour for you to feel the effects of CBD oil taken sublingually so you need to be patient and wait for the effects to your body. Once you’ve felt the effects and they are not enough for you, then you can gradually increase the dosage of the following intake. If you know someone else who takes CBD oil sublingually, do not assume that the dosage that works for them will also work for you. The effects of CBD are different for each individual. In the absence of an FDA RDI, it will be best to determine on your own the right dosage based on what works for you. Another thing to take note of is the potency of the CBD oil that you’re taking. Different oils have different potencies. If you decide to switch to another CBD oil then you need to take potency into consideration. If you switch to a more potent oil, lower the dosage you are taking and then gradually increase it. If you’re switching to a less potent oil, go with the same dosage you’re previously using and work your way up. This is not an exact science yet. However, until the FDA comes up with an RDI for cannabis products, these are sensible and the safest you can get. Genetics also play a huge role in how a user decides on an appropriate dosage. Some users have mutations on their CNR1 gene. If you have an issue with your CNR1 gene, it can result in a poorly functioning endocannabinoid system. For example, THC can increase the activity of CB1 receptors. On the other hand, alcohol can increase its expression. This means that smoking cannabis and drinking alcohol can increase the effects of CBD because of their interaction with cannabinoid receptors. Can I overdose on CBD oil if I take it sublingually? These side effects are possible on worst case scenarios. The use of CBD and other hemp products are still safe.